Smart, relaxed and comfortable all at once - this is the Leo collection of outdoor furniture from Vincent Sheppard. 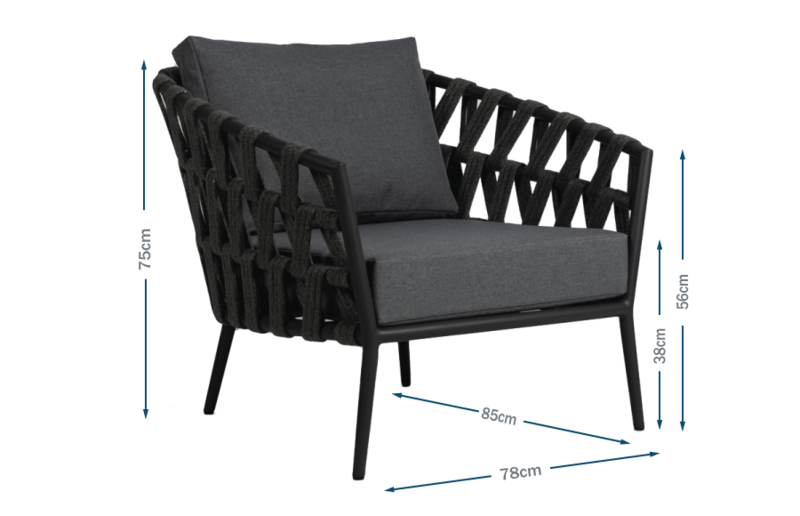 Perfect for enjoying afternoon tea, long lunches or entertaining friends, the Lounge Chair looks and feels great. Made from powder coated aluminium and acrylic rope, the frame is durable in all weather conditions, and comes in a dark Lava Grey. The lightweight seat cushions are made using quick dry technology, and come in a light Orlando Grey. Great for an informal patio set up, or arranged around a coffee table. Add some contemporary elegance to any outdoor area. Playful weaving is used throughout the entire collection.